Ice Water on MY Head? When my college roommate died of ALS (also known as Lou Gehrig’s disease) on Thanksgiving Day in 2012, I was completely devastated. ALS is a neurological disease that affects the brain’s ability to communicate with the muscles in the body. In lieu of flowers, a monetary contribution was made to the ALS Foundation. Undoubtedly, I am an advocate and supporter of raising funds to support further research for this dreaded disease which, to date, has no cure. Recently, many people have been participating in a “challenge” to raise awareness for ALS. So…what is this challenge, you might ask…? THE ALS ICE BUCKET CHALLENGE, of course. The ALS ice bucket challenge is endearing, exciting and engaging! Most everyone is abuzz with the challenge, which is gaining momentum with each passing day among the young, old, and in between. But wait……when I asked my African American female friends about participating in the challenge, they gave me “that look.” I, of course, knew what “that look” meant. However, for those who do not know, I will translate for you: that look means, “Are you for real?” This has nothing to do with obviating the gravity and the meaning associated with the ALS challenge itself, but it has everything to do with hair. For hundreds of years, many African American/Black women have owned their hair as their mane of glory. Even in the cotton fields, Black women did all they could not to sweat because their natural curl would become tighter and less manageable. From straightening combs, to afros, to chemicals, to braids, to weaves, to the new wave buzz…..Black women have experimented with their hair….looking for a style that would reflect the essence of who they are, while still maintaining beauty, sophistication and liberation. Hair should not be an obsession, but when it prevents one from participating in fun activities, charitable causes, healthy exercise, sports events, ad infinitum…..what is the answer? For those sisters who can relate, it is not as simple as “yes,” I want to participate in the ice bucket challenge. It is the aftermath of “re-coifing,” re-grooming, re-styling, and reminding ourselves that Afro-textured hair requires a different type of hair care which involves time. While the biochemical composition of Afro-textured hair is identical to that of Caucasians and Asians, its morphological difference in elasticity and comb-ability causes Afro-textured hair to have different needs. These needs oftentimes inform how African American women make decisions about how they navigate their daily lives–even if it means re-thinking the ice bucket challenge!! This blog was written by DeVetta Holman Nash, who presently serves as the strategic planner for Diversity Initiatives and as the Co-Lead for the Vice-Chancellor’s Inclusiveness and Accessibility Service Delivery Team. 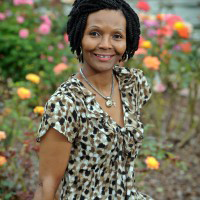 A professionally trained health educator and primary prevention specialist, DeVetta earned her B.A. degree from the University of North Carolina – Chapel Hill and her Masters Degree in Public Health from the Gillings School of Global Public Health. DeVetta is a past recipient of the Chancellor’s Student Undergraduate Teaching and Staff Award (SUTSA) and has been inducted into the UNC Frank Porter Graham Honor Society for outstanding professional work. She serves as the UNC Faculty Advisor for the UNC Collegiate Chapter of the NAACP and mentors UNC students, including UNC’s Covenant Scholars. DeVetta was the recipient of the 2012 University Diversity Award which recognizes significant contribution to the enhancement, support and/or furtherance of diversity on the campus and in the community. DeVetta is a 25-year employee committed to creating an optimal living and learning experience for UNC-CH students. She loves jazz and sunsets. She is the proud mother of one son, Master Robert-Anthony Nash.